Back by popular demand is “How I Draw On My iPad-Part 8”. While you’re at it, don’t forget to check out Part 1, Part 2, Part 3, Part 4, Part 5, Part 6 and Part 7.
Who doesn’t love the look and feel of a burning candle? As I was watching a collection of burning candles, and their dancing glow, I decided it would be fun if I created an image and ultimately a new demonstration of flickering candles. This demonstration will use a variety of tools along with some freehand work. As more demonstrations are added, they will vary in their difficulty. 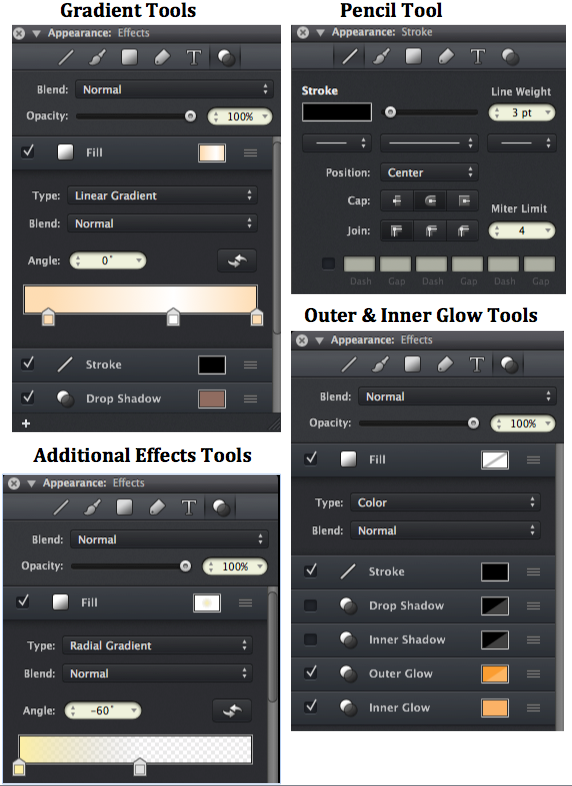 The past tutorials can offer help with questions you may have in regards to the tools I use in the iDraw program. 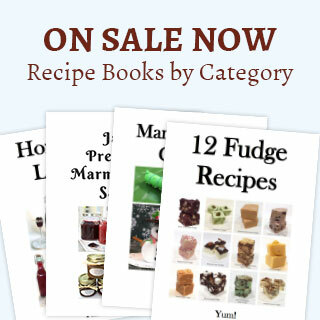 I would encourage you to check out my past demonstrations for that reason. 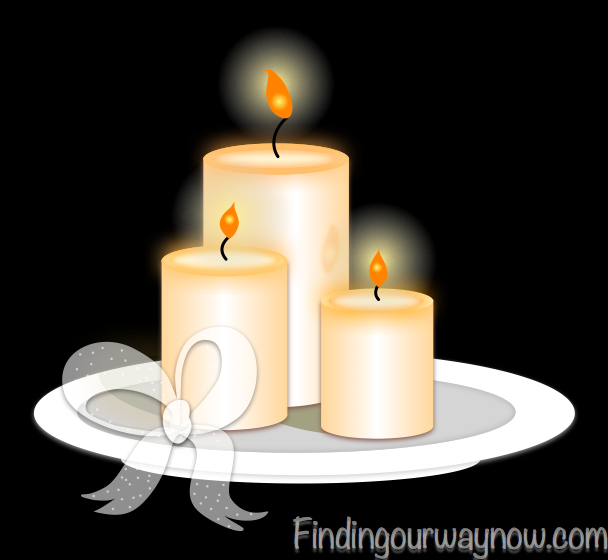 Before I begin, I would like to show you an overview of the some of the tools I will mention as I describe the creation of these flicking candles. 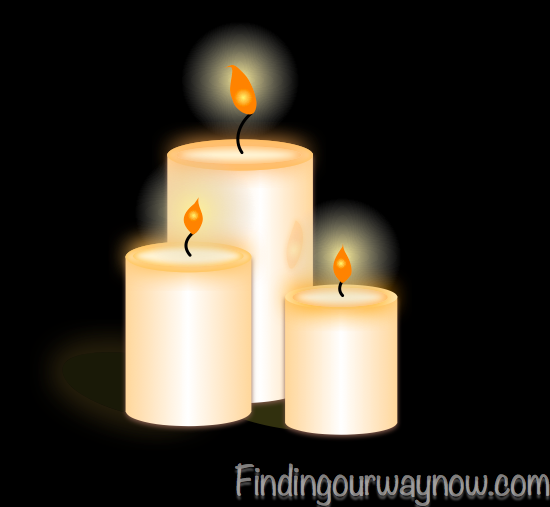 In order to create an accurate representation of the candles, I drew a freehand pencil drawing of the candles I was watching. Once I completed the sketch, I kept it close at hand as a reference. 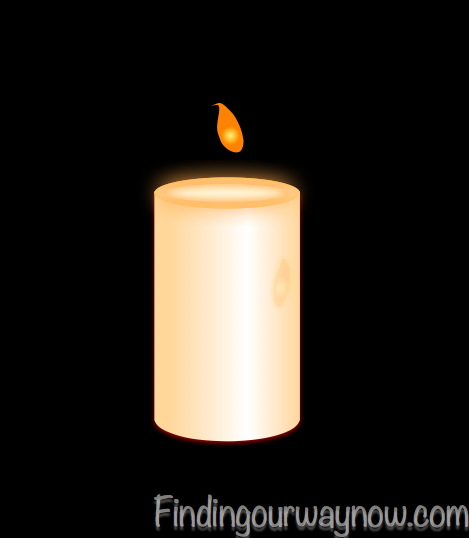 This makes it easier to ensure that I’m able to create the essence the candle image. Unlike some of the past the demonstrations, I will start with a black canvas (background). As with the other demonstrations, I added layers, as I needed. I grew the layers to 10 or more and merged the layers down, as I needed. 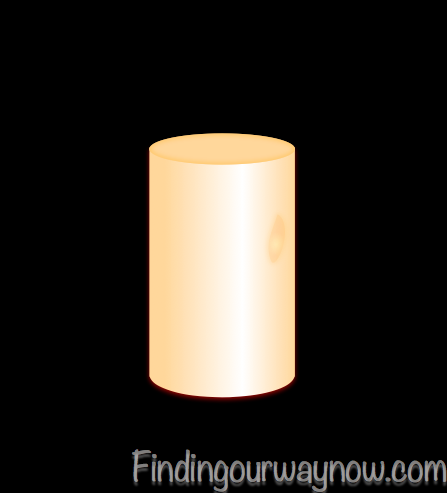 I’ll first start with the rectangle and circle tools to create the base of the first candle. After moving the two shapes together, I’ll merge the circle (ellipse) and rectangle together. 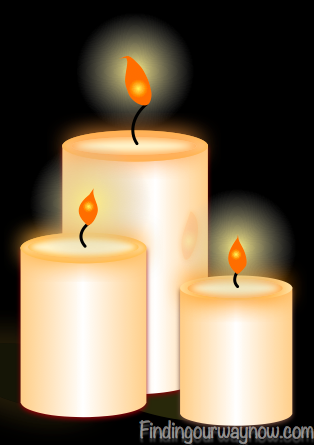 Note: I’m using the fill gradient tool to add a darker tone to the outsides of the candle base with a light tone on the inside. 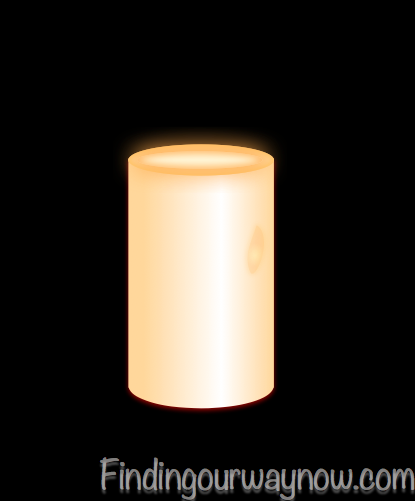 Now I’ll add an ellipse to the top of the base of the candle. 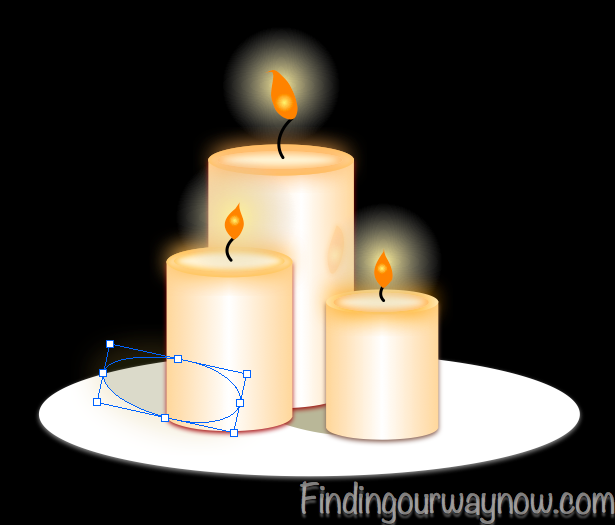 Using the circle tool, I’ll add another ellipse to the top of the candle, and then add an inner and outer glow to create a melted appearance. 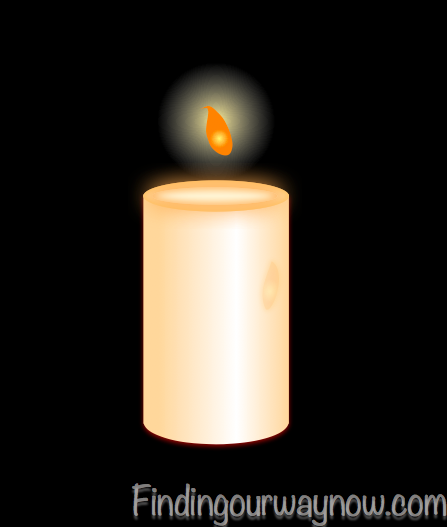 A freehand drawing of a flame shape is now added. 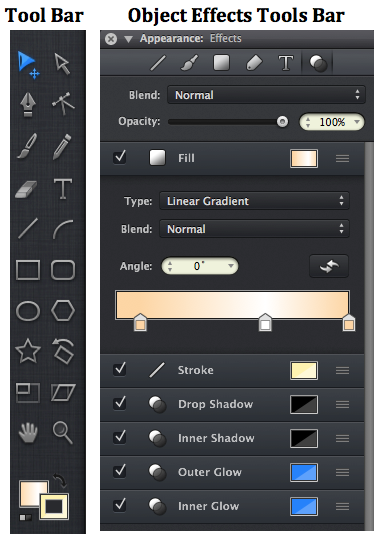 I will complete the flame using the gradient tool. To add a glow around the flame; I used the circle and gradient tool. The outside of the circle has zero color. I also pushed the circle into the background to help give the allusion of dissipating light. 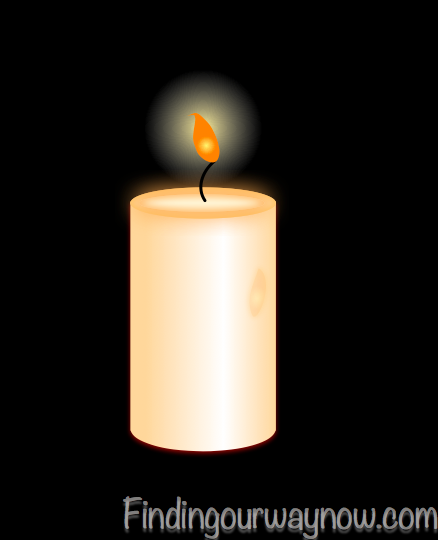 With the pencil tool, I drew freehand, a wick of the burning candle. At this point, you can do one of two things. 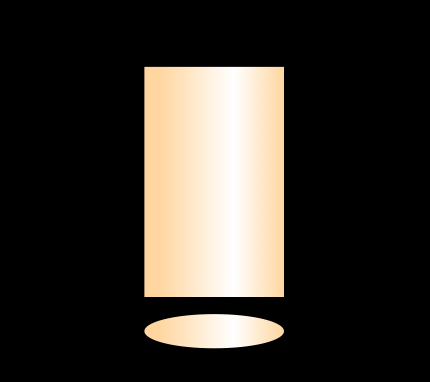 One option is to merge the layers together, copy and paste the whole image of the candle (reducing the size as needed) into two different places. 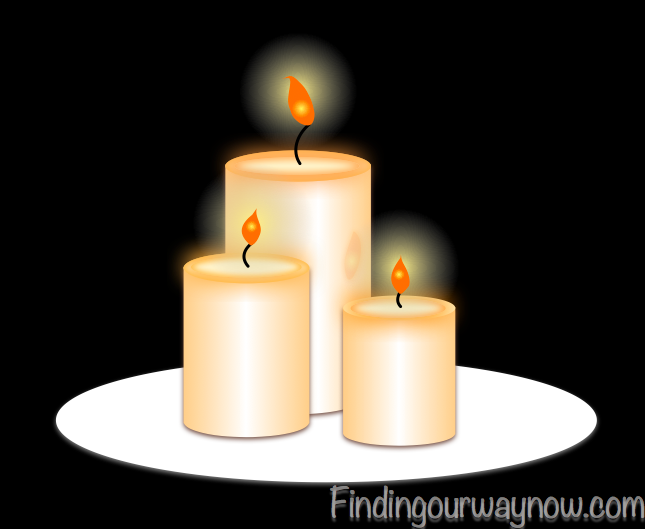 The second option is to reproduce the additional candles in the locations you wish them to be. 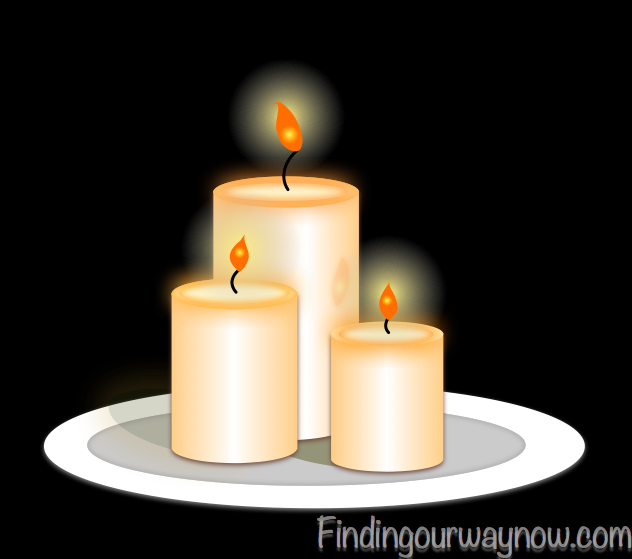 I copied and pasted the candle and then adjusted the shapes and sizes to my liking. 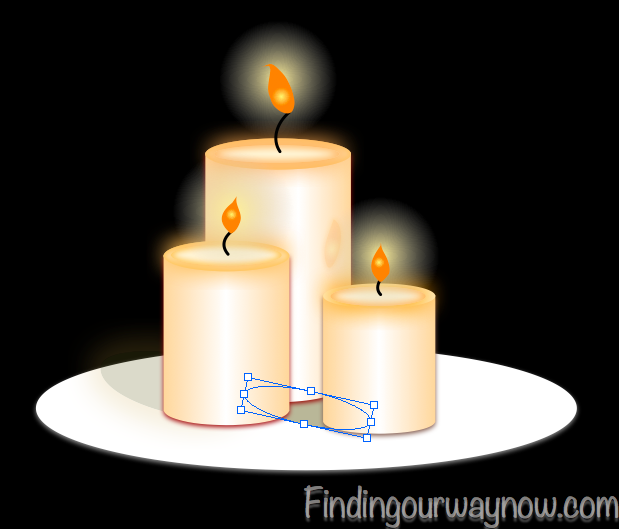 Once I have my candle images created, I’ll merge the layers and then add an ellipse in another layer to start building the plate the candles will set on. Now I’ll add a few shadows using the circle and selection tool to adjust the shadow size. Using the circle tool once again, I will add a smaller elliptical shape to the plate to give it more depth. 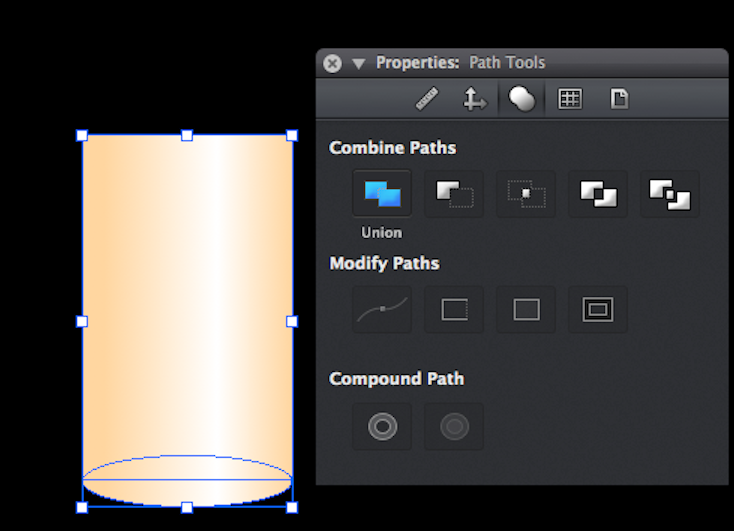 Note: I will use different layers or use the alignment tool to move the shape to the location I desire. Once again I will use the circle tool to create a smaller elliptical shape for the bottom of plate, add a drop shadow to the larger ellipse to give the illusion of being three-dimensional. Using the pencil tool, I drew a freehand bow for fun. I’ll fill it and reduce the opacity in half, add a drop shadow and dots for fun until I’m satisfied with my final creation. So here is my challenge for you. I would encourage you to draw something you like and then share it with us. Remember, drawing regardless of your skill level, is fun, so go for it. If you enjoyed “How I Draw On My iPad-Part 8,” check out Part 1, Part 2, Part 3, Part 4, Part 5, Part 6, Part 7 and Part 9. Enjoy.